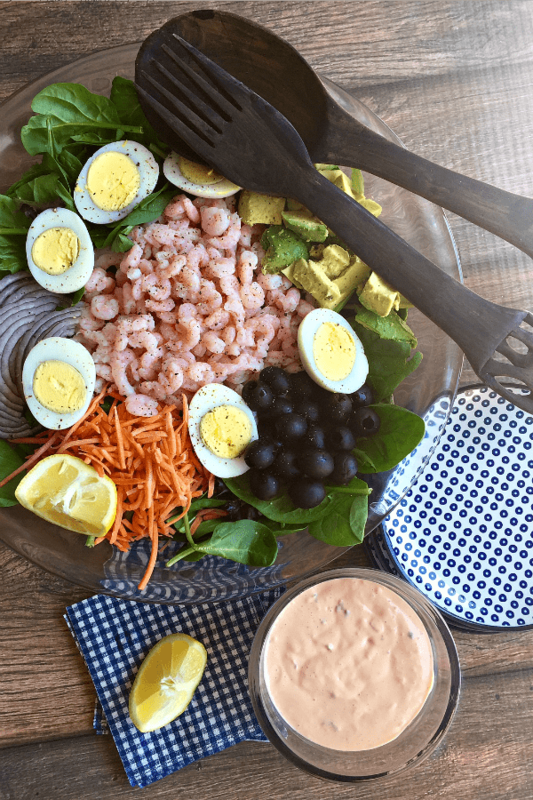 A classic from my childhood, Classic Shrimp Salad with Thousand Island Dressing is loaded with bay shrimp, hard-boiled eggs, avocado, black olives and topped with a creamy homemade dressing. 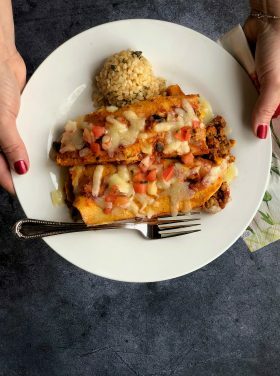 Delicious any time of year! 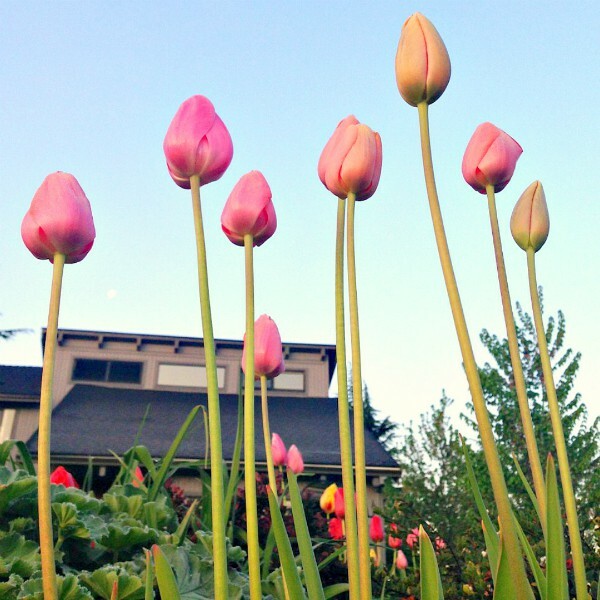 I love spring and summer. I also love sitting on our back patio and reading, no matter what the weather. And enjoying this Classic Shrimp Salad with Thousand Island Dressing with a friend! I’ve been reading a lot about grace in our lives, the grace we’ve been given as we age. Have you ever noticed how grace-filled women become more beautiful as they age, not less? Of course this has a spiritual component to it. If we allow God to shape us and work in our lives, we naturally mature as we grow in Him, reflecting a radiant inner beauty that can touch those around us when, we don’t even know it. I’ve been touched by those kinds of women. They’ve surrounded my life, some for 50 years, and when you’re with them, it’s always inspiring and encouraging. I hope to be one of those women, years from now. For me, to sum up grace, it’s an unconditional, unmerited love that is renewed daily from my sometimes stubborn, ugly, and undeserving heart. I’m thankful for a second chance, every day, to renew the freshness of what I’ve been offered in this life. His mercies are new every morning. Great is His faithfulness! Have I told you how much I adore baby shrimp? Where I live it’s called Oregon Pink Shrimp. 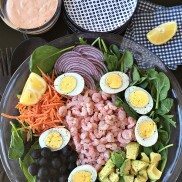 My Aunt Lillian would make a Shrimp Salad for every family dinner, traditionally for Easter, Christmas, or Thanksgiving. It was her signature dish, along with her fabulous homemade dressing, which I really believe “made” the salad. 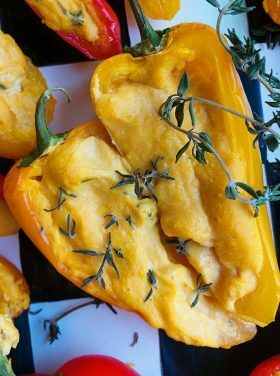 Today I’m sharing that recipe, which is perfect for an upcoming Mother’s Day, or springtime celebration, don’t you think? In my mind, there’ s nothing quite like a fresh shrimp salad, with homemade Thousand Island dressing! And yes, if you’re wondering about the relish, this ingredient is a must, and it MUST be sweet relish, not dill. So yummy! You can store covered in the refrigerator for up to 2 days. Arrange the salad ingredients decoratively on a low-line platter or bowl. 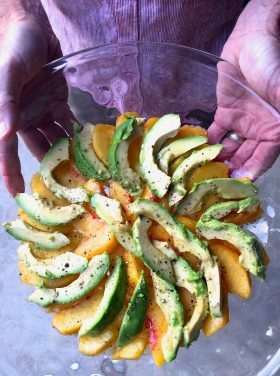 Serve with the chilled dressing on the side, with extra lemon wedges. I made this over the weekend, after seeing and saving the recipe quite a while back. 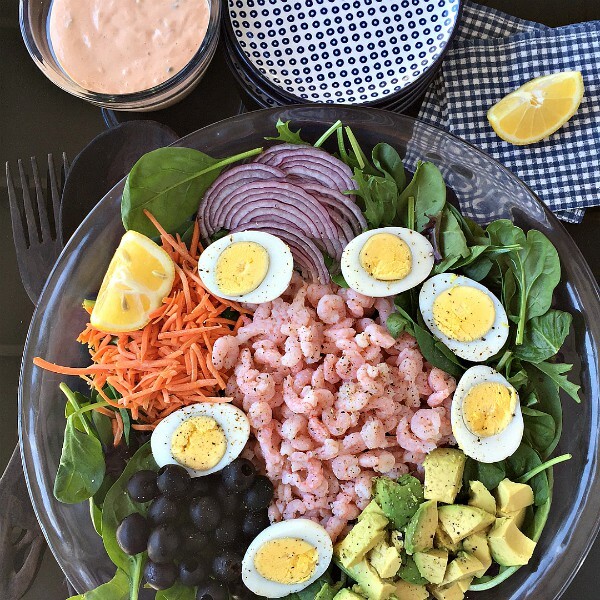 Was a HUGE hit and will not become part of our regular routine of dinner salads! Will *now* become part of our our regular routine. I need to remember to read what I type before I submit!! 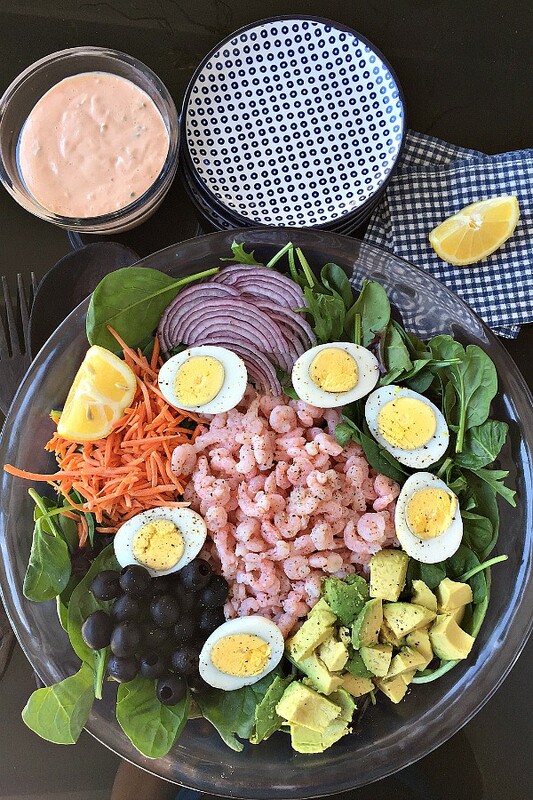 Perfect spring salad, looks amazing! Auntie LaLa’s shrimp salad was the best! Thanks for the recipe to pass down. Thank you Sandi for this reminder of His grace for all who believe. “Morning by morning new mercies I see. All I have needed they hand hath provided, Great is thy faithfulness Lord unto me.” I am so thankful and look forward to reading your blog every day. It encourages me to be a better woman, full of God’s love for others! Blessings!